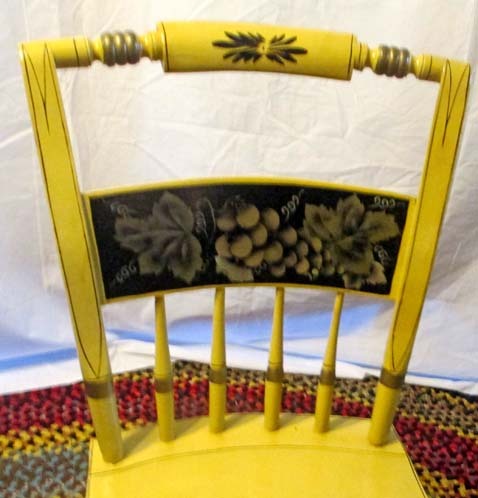 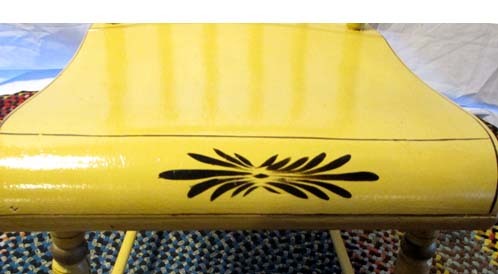 This is a Set of 4 Hand Painted Chairs that could be used in a country kitchen or around a turn-of-the-century table (as shown on the home page of this website). 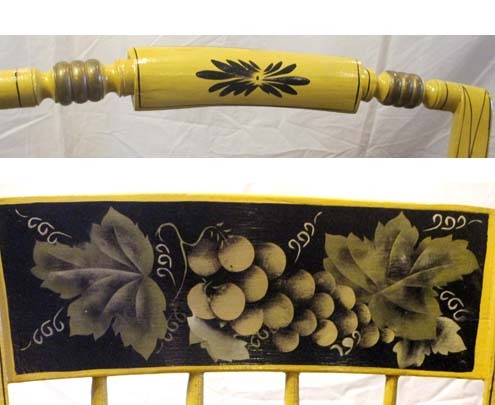 The stencilling on the early pillowback chairs is well-done and brilliant, and all the chairs have been re-glued by our professionals. 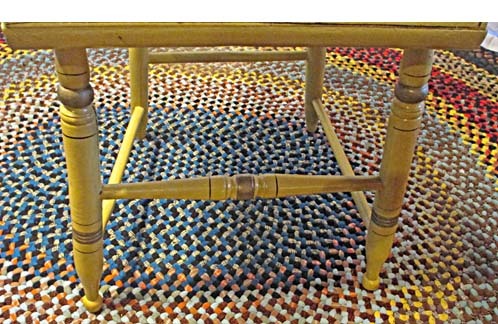 This is a fun set and is a good alternative to the traditional pressed back chairs. 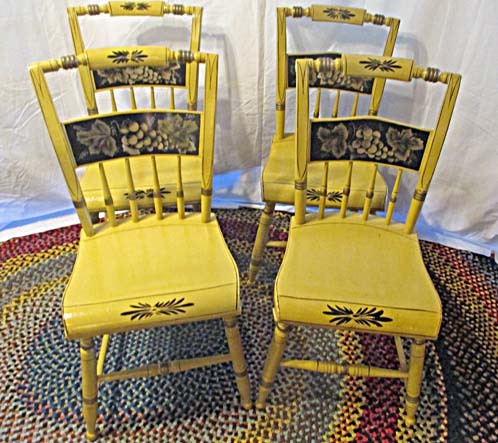 The chairs date back to the mid 1800s, and were being used in a Bridgeton, Maine home when purchased.